Providing great food and a warm welcome, the Lodge Cafe is a popular spot with locals and tourists alike. 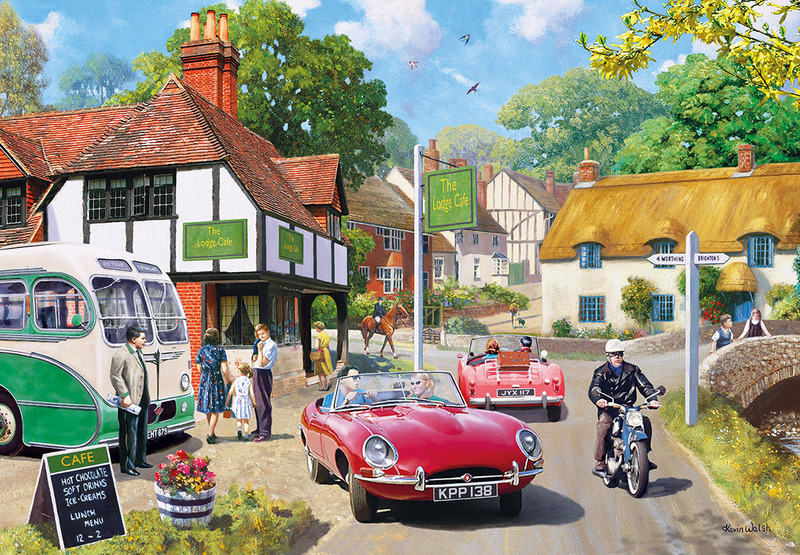 Artist Kevin Walsh’s distinctive and vibrant style captures an idyllic summer’s day in the English countryside, perfect for a drive, a ride, or just a good old-fashioned amble around the village. 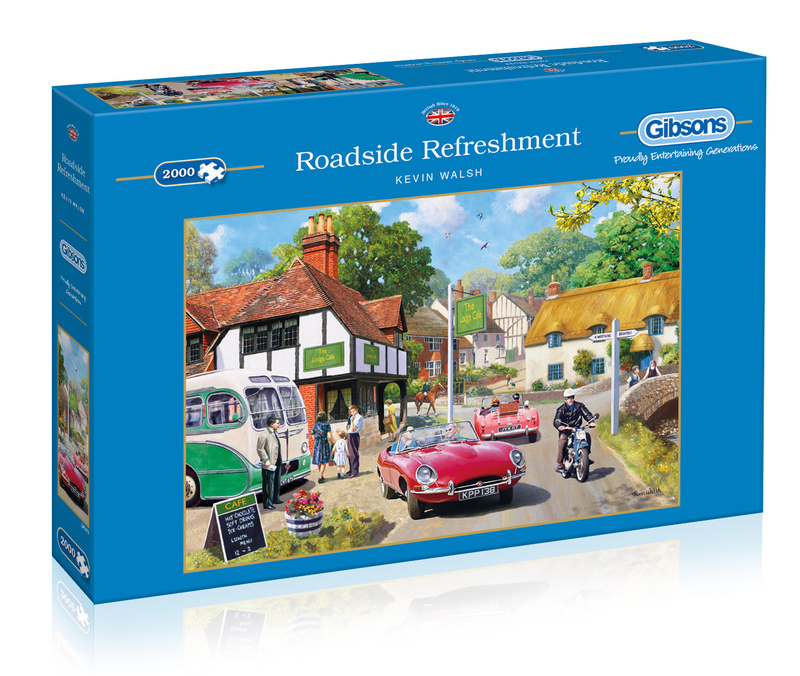 This 2,000 piece version of Roadside Refreshment will prove a satisfying challenge to even the most seasoned puzzler. As with all Gibsons jigsaws, the beautifully illustrated pieces are made from the highest quality 100% recycled board and are therefore a pleasure to work with again and again.